The Dahshur royal necropolis in Egypt was once a dazzling sight. 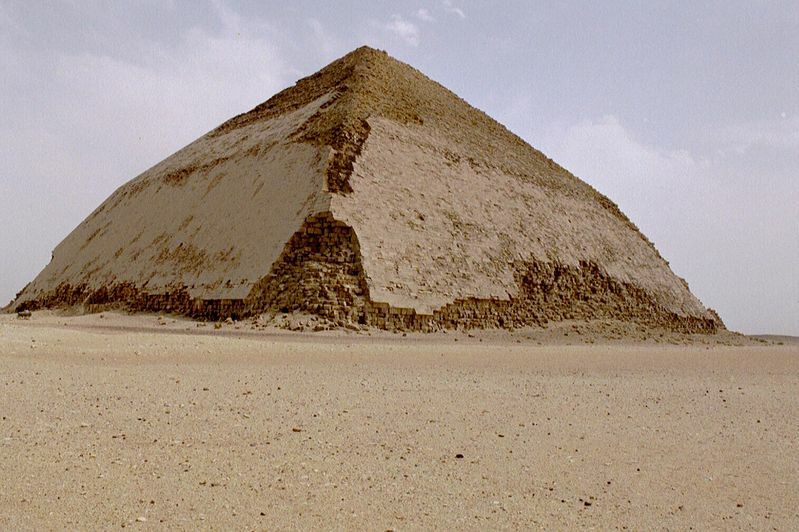 Some 30 kilometres south of Cairo, it provided King Sneferu with a playground to hone his pyramid-building skills - expertise that helped his son, Khufu, build theGreat Pyramid of Giza. But most signs of what went on around Dahshur have been wiped away by 4500 years of neglect and decay. To help work out what has been lost, archaeologists have turned to fractals. 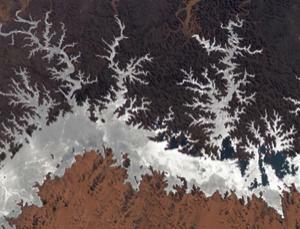 All around the world, river networks carve fractal patterns in the land that persist long after the rivers have moved on (see picture). "You can zoom in as much as you like, at each magnification the [natural fractals] would look the same," says Arne Ramisch at the Alfred Wegener Institute for Polar and Marine Research in Potsdam, Germany. This should be the case around Dahshur, because it sits on the fringes of the Western desert, where river channels drain into the floodplain of the Nile - but it isn't. Ramisch and his team generated a digital model of the topography around Dahshur and assessed its fractal geometry as part of their archaeological investigations. They found a surprisingly large area around the pyramids - at least 6 square kilometres - where the natural fractal geometry was absent. The find suggests that the entire area was once modified, probably under the orders of Sneferu and other pharaohs of the Old Kingdom (Quaternary International, DOI: 10.1016/j.quaint.2012.02.045). "The modification is hard to spot, especially if your eyes are untrained," says Ramisch. "Even with trained eyes, it is difficult to believe the gigantic footprint the Egyptians have left." The disturbance to the natural fractals can even give a sense of what occupied the site. In this case, says Ramisch, it was probably broad terraces several kilometres long, which would have "increased the sense of monumentality of the pyramids". "It's a new approach," says Keith Challis at the University of Birmingham, UK. There is a well-established link between human activity and landscape modification, he says. "This provides an interesting new way of identifying such modification."